It happens to everyone at some point or another. You go and start your flock with a few chickens—everything in life is happy and grand. And then one day, you walk outside to a dead bird, a sick bird, or a “what the heck is wrong with it” bird. That’s when the death emotion sinks in and you think you’re a failure at chicken keeping. The reality is that sick or hurt chickens can happen to just about anyone. Of course, there are certainly things you can do to prevent illness and mishaps. Today we’ll talk about some of the common chicken illnesses and hurts, and also, how to treat them effectively. First thing’s first—you need to understand that chickens are prey animals. Meaning, they can be sick and hurt long before ever showing symptoms of being so. This is why monthly (and even weekly) animal checks are important. 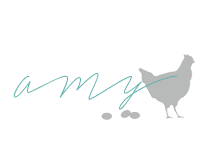 Look over each and every chicken as often as possible for you on your homestead. For us, at one point, we had a lot of chickens. It wasn’t possible to check them all over in one week. So we did monthly checks. 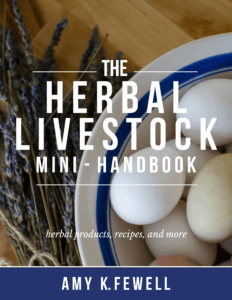 Next, you’ll need to figure out how you want to treat animals on your homestead—chemically or holistically? Or both, when it comes right down to it. We are not strictly “holistic” here. If holistic methods don’t work, I certainly go for the chemical method, or cull. However, all of the methods in today’s blog are about holistic treatment. 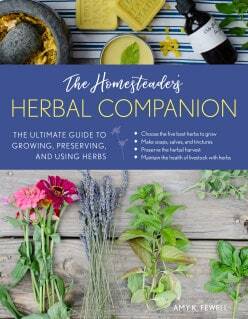 I always try hard to use my herbs and essential oils first. We are a working homestead. Therefore, sometimes it’s better to cut our losses than throw $50+ into a $10-$25 chicken. It just doesn’t add up for us to do that. We certainly keep things on hand if something goes wrong, but for a single incident? Absolutely not. Culling is our choice when all else fails within reason. If you take nothing else away from this blog, please take away this. Prevention on your homestead is essential. The bulk of things that go wrong with your chickens could have been prevented or at least counteracted. So, how do you prevent illnesses in your chickens? Make sure they have all the nutrients they need. Skip the GMO feed if you can. Organic is certainly best, but not possible for some incomes. This is a really ideal way to help prevent disease and illness in your flock. 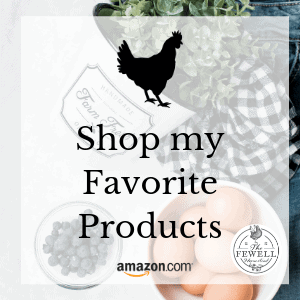 I highly suggest adding things such as dried/powdered garlic, Diatomaceous Earth (DE), Black Oil Sunflower Seeds (BOSS), Oregano, and Turmeric into their feed and diet as much as possible. 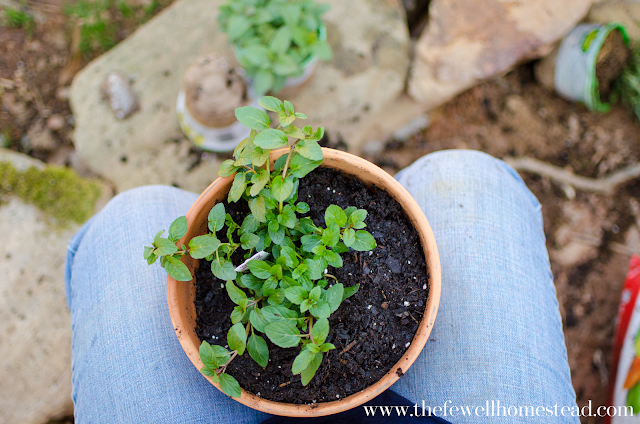 Oregano is a natural antibiotic. Garlic aids in immune health and is antibacterial. DE is a natural wormer. BOSS adds extra protein to your chickens diet, and also aids in digestion. Turmeric is a natural anti-inflammatory and also aids in aches and pains, purifies blood, aids respiratory health, and strengthens the immune system. I would say out of everything, garlic, turmeric, and oregano are my top picks to put into their feed on a regular basis. Apple Cider Vinegar (ACV) helps alkalize the body in any living being. It’s also great for gut and crop health in chickens because it’s filled with wonderful probiotics and has anti-fungal properties. I do not suggest adding ACV to water during the hot months, as it can actually cause them to over heat more in the summer time. 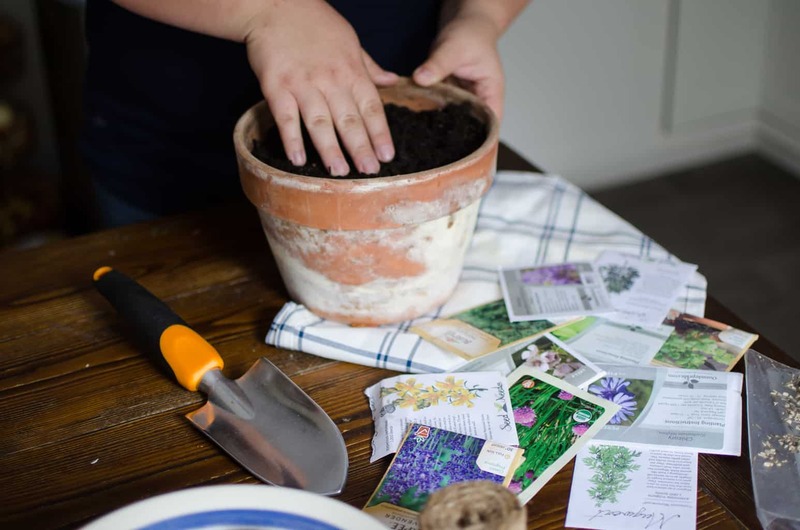 Growing your own chicken garden isn’t always the easiest, but when you can set aside time to dry herbs (or order them online), and add it into their feed, you’ll see your chickens health improve dramatically. 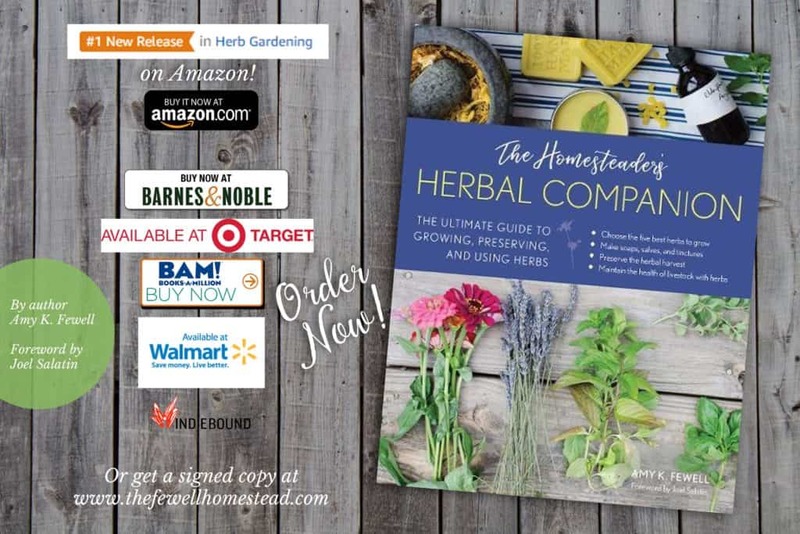 Herbs and snacks such as garlic, oregano, thyme, marigolds, dandelions, violets, chickweed, red raspberry leaf, elderberry (dried), and autumn olive berry are great, wild grown options for your flock. Some of these things you can find right in your own backyard. Others you can forage for. And still, others, you can grow yourself or order large bags of online here. Pumpkin seeds and DE in their feed are also great options, and help prevent worms in your chickens digestive tract. Essential oils are a very quick alternative to harsh chemicals. We’ve healed many a chicken strictly with Oregano and Melaleuca! You can find out more about EOs HERE. Ultimately, some things happen because of unsafe living areas. Whether it’s a predator attack, or a hen getting her leg caught in some contraption—do a check on your barn, coop, and foraging areas often. Rid these areas of any potential safety hazards for your flock and yourself. Now that we have the prevention part of this equation down, lets get right down to the nitty gritty. 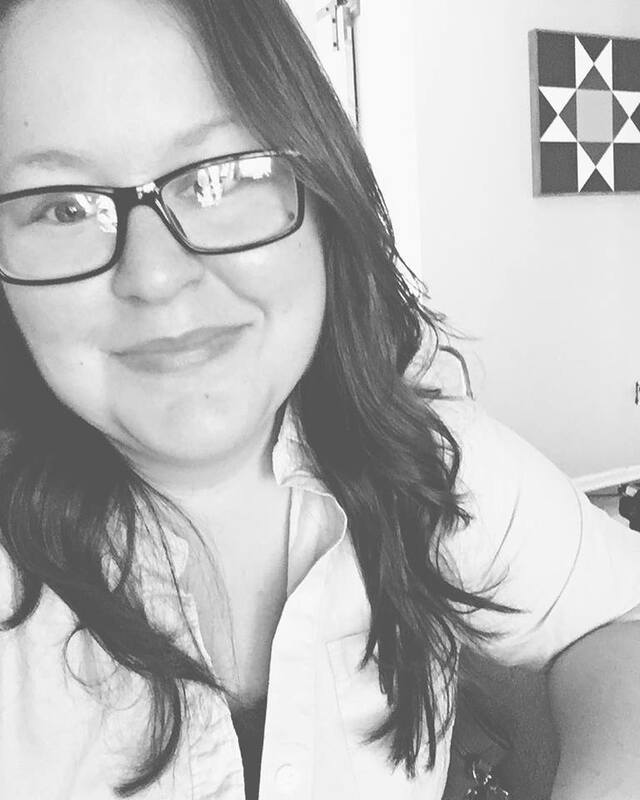 You’re probably reading this blog because you need help right here and now. You now know how to help prevent illness, but that doesn’t help you right in this moment if your chicken is ill or in pain. Here are some common ailments and the the treatments for them. 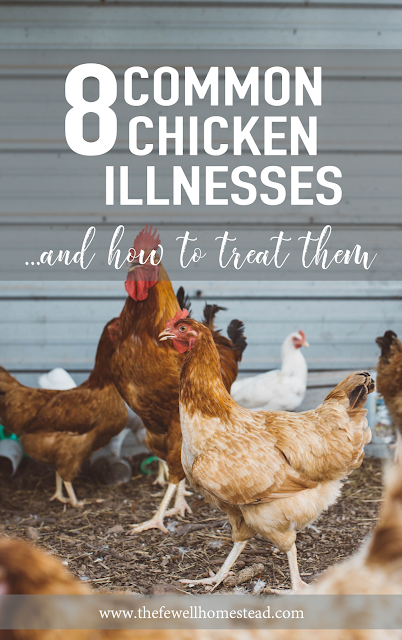 We had our first run in with lice about 6 months into our chicken journey when we bought lice infested chickens from someone we thought we knew well, but in fact, were stuck with sick chickens. I made the mistake of treating them chemically, and almost ended up in the hospital myself. After their first treatment, I learned of a much better way to continue treating them (as they need to be treated for an entire month). Lice and mites transmit from other birds. However, if left long enough, can become an epidemic and kill your chickens by feeding on their blood supply. It takes awhile to get to that point, which is how we knew the chickens had lice before they arrived here (and none of my other flock had them, but had to be treated still). Should you find yourself with an anemic chicken, raw red meat in his/her diet is essential to get their iron levels back up. 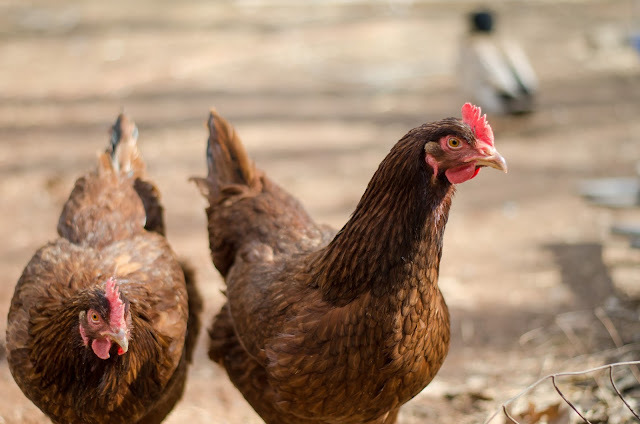 The safest and best treatment: Dusting your chickens (very carefully) with wood ash and/or DE will rid them of any parasites that are currently on them. You’ll need to make sure you are dusting them right down to the skin, where these parasites live. You can add DE and wood ash to a special dust bathing area for the remainder of the month, so that they can dust themselves after the first initial dusting. Or you can continue dusting them individually once a week. In fact, you should do this as a preventative at all times (the regular dust bath). 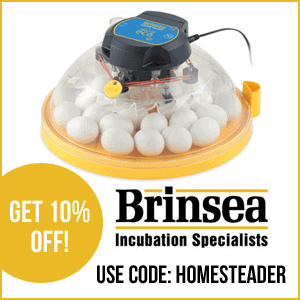 Treating for one month ensures that you catch all of the eggs that have hatched since the first initial treatment. You’ll also need to clean out the entire coop and dust with DE. Scaly leg mites are very similar in transmittal as lice and mites for chickens. However, I have read some pretty crazy “treatments” online for it. Someone even suggested you douse the legs in gasoline or kerosene. Please, do not do that. The safest and best treatment: Soak your chickens legs in a warm water bath with dish liquid. Scrub their legs with a toothbrush to help loosen any dying scales. Dry and slather both legs and feet with a thick oil such as coconut oil, neem oil, or olive oil. This will help smoother the mites and allow for quicker growth of new scales. Add this oil to the legs of the chickens for at least 4 weeks, once or twice a week. 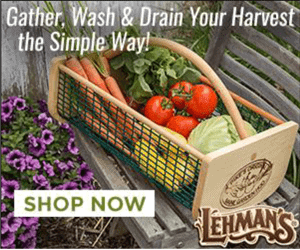 Offering the same DE and wood ash dust bath to your chickens is also essential. You’ll also need to clean out the entire coop, dust with DE (without the chickens inside the coop) and make sure you’ve gotten all of the old bedding out. Don’t forget to dust the roosts as well! Cocci can be a vicious parasite in your flock’s digestive tract. While it mostly attacks younger digestive tracts, such as with chicks, it can also attack your adult flock as well, causing diarrhea, unusual feces, blood in feces, and even death if left long enough. The safest and best treatment: Kocci free is a very effective treatment. We use many of the Vibactra plus products on our homestead. 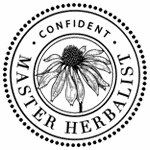 They are an incredible source for herbal remedies. In fact, you can use Kocci free as a preventative as well once a month. Simply add it to their water. Many new chicken owners freak out when they notice their chickens sneezing or wheezing. But it’s not always the “worst”. No, chickens do not get “colds”, however, their respiratory tracts are extremely sensitive. A little more dust than normal in the coop can cause sneezing and wheezing. 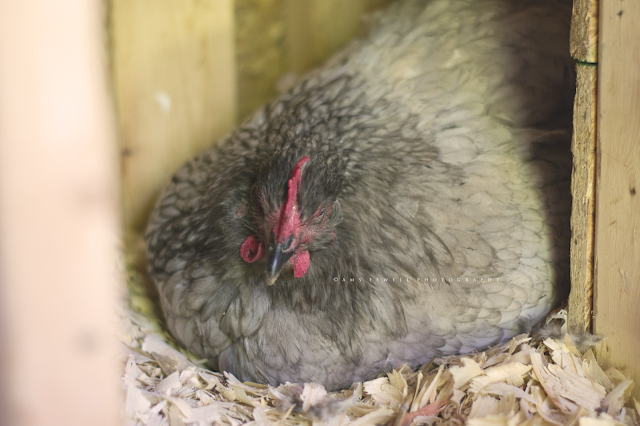 The safest and best treatment: Clean the coop out and lay down a less dusty bedding, especially in the summer months. We prefer cardboard bedding in the summer months. 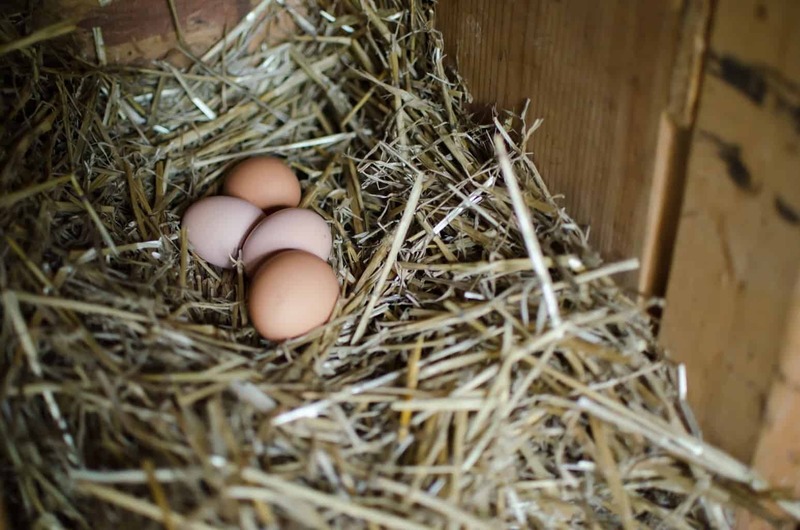 Make sure you air out your coop before putting in new bedding, and make sure your coop has good ventilation so that dust can escape easily. 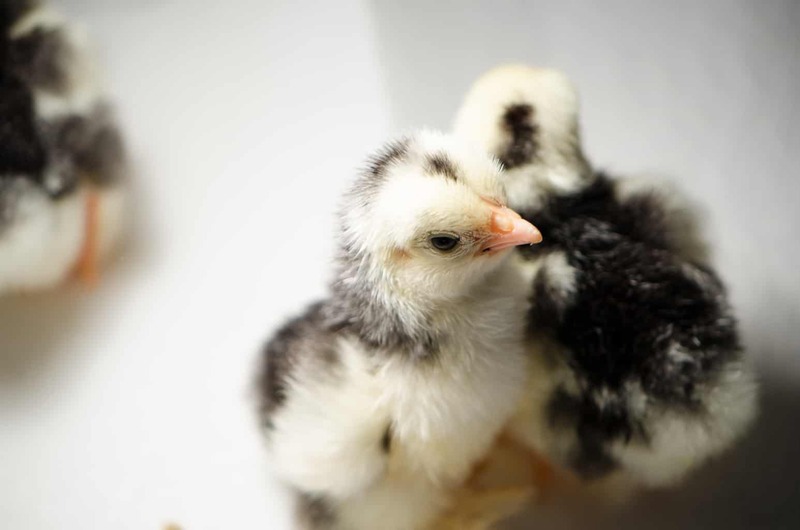 Many times, respiratory issues arise because of dust, too much ammonia in the coop, or pollen. Mycoplasma is a completely different issue that we really need to talk about in the chicken world. We experienced what I believe was a case of MG here the very first month we started with chickens. The chicken, thank goodness, was on our property for less than 48 hours and was quarantined (and immediately culled), but it was scary, to say the least. Number one — ALWAYS QUARANTINE NEW CHICKENS. We learned our lesson and are thankful we did. 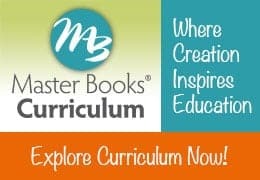 MG and MS are respiratory bacteria that can seriously sicken and kill your entire flock. It is extremely contagious, and can even be spread by clothing and shoes. Many chicken experts will tell you that MG and MS are not curable, but I have to respectfully disagree. If preventatives are used, and if caught in time at the first symptoms, I absolutely believe that MG and MS can be cured. It is, after all, simply a bacteria. Symptoms of MG/MS: Wheezing, gasping for air, puffy face and swollen eyes, sneezing, sinus drainage, swollen joints, lethargy. The safest and best treatment: You’ll need to be aggressive with this one. Oregano (antibiotic) in their feed and water at all times during treatment until symptoms have completely passed for ALL chickens. Add turmeric (immune support and anti-inflammatory) and garlic (antibacterial) to their feed as well. Separate any infected birds as much as possible, but treat ALL birds the same. Chickens can have MG/MS and not show symptoms until stressed or weak, which is what happened to us when we brought in a new chicken. Within 24 hours, she was literally on her death bed when she was fine the day we bought her. Your chickens will need to be treated until ALL symptoms are gone. You should also not visit other farms unless you plan to change your clothing when you get there. And do NOT sell chickens or hatching eggs from your property for at least 4 weeks after symptoms are gone. I don’t have any experience with IC, but I’ve read enough, and experienced enough through others, to know that IC is extremely detrimental to any flock. Once contracted, it is extremely hard to get rid of. And can live in your soil for awhile. The fatality rate is extremely high and depressing even with treatment. I have no advice to offer you on IC except that you can treat the same way you would treat MG/MS, however, if it spreads to your entire flock viciously, you may very well consider culling and starting all over again after a 4 week waiting period. 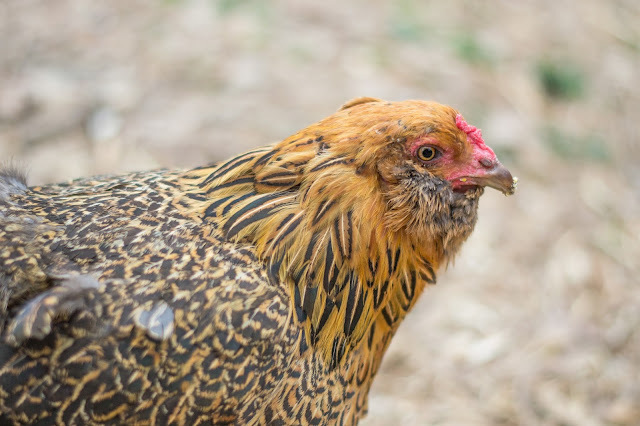 Sour Crop is probably one of the most common issues on a homestead when it comes to chickens. At least, it seems to be. We’ve actually never had the issue here, but have had friends with sour crop. Sour crop happens when chickens ingest something that is too big for them to pass through the crop. It can also be fungal, as things can begin to ferment in the crop and cause more issues if not passed properly. The safest and best treatment: Giving your chicken ACV and olive oil in the crop will help tremendously. ACV has anti-fungal properties, and therefore can help tone down that yeastiness in the crop. You can add oil to your chickens crop and massage her crop, holding her upside down, to help expel anything that may be lodged or compacted. Bumble foot is another very common issue on the homestead. 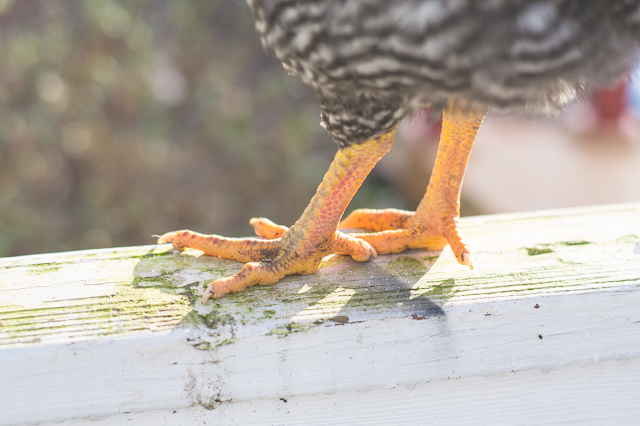 This happens when your chicken has stepped on something, such as a thorn or has gotten a cut on their foot. The thorn or cut then becomes infected, causing a sore type lesion to pop up on the botton of their foot or in between toes. It can affect their walking, and if left long enough, the infection can spread to their entire body. The safest and best treatment: You can pick the scab off of the bottom of the foot and expel any infection that way, and also release the core of the issue (if it’s something lodged inside the foot). Or you can wrap the foot with a bandage soaked in tea tree and oregano essential oils. This has proven to be extremely successful for us, as the tea tree oil is antiseptic, and the oregano oil is a natural fighter of infection. You’ll need to do this, daily (direct skin contact with a swab soak in the oil under the bandage) for at least a week or until symptoms begin to subside. This also allows your chicken to walk better with the bandage and extra padding so that it can heal quicker. When all else fails, you may choose to take a chemical route. However, we have not had to do that in over two years with preventative methods and herbal treatments. Go with your gut, because most of the time it never steers you wrong. 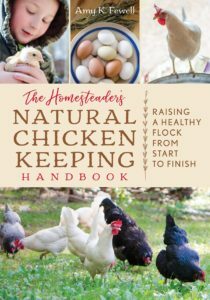 And remember that if you lose a chicken, you’re not a bad chicken keeper or homesteader. Sometimes, these things just happen and they are out of our control. But remember, prevention is key!